Here at Stan Reynolds Garage we have recently invested in a new and unique machine purposely engineered to decontaminate both petrol and diesel engines. It is an Engine Decontamination Treatment – Think of it as removing the cholesterol from the heart of your car. 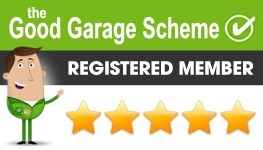 We are the only garage in the Birmingham area to offer this service at the moment. It can be carried out alongside your annual service or can be done as a standalone treatment. Give us a call and our qualified technicians will be happy to explain more or click here to read some of the testimonials from our satisfied customers.